The big building along Hali‘imaile Road across from the park has been a fixture in the community for more than 85 years. 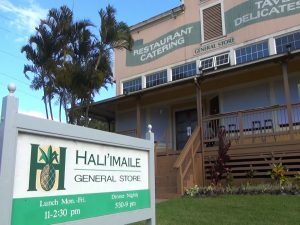 Built in 1929, Hali‘imaile General Store was, in fact, just that: the pineapple camp store, providing pretty much whatever workers needed, from clothing to paper towels to freshly-butchered meat. “They all had tokens with numbers on them and they never really had to exchange money; they just gave their token number and it came out of their paycheck,” explains chef Beverly Gannon, who took over the building in 1987. She kept the name the same, and started preparing the space to serve as a gourmet take-out deli shop for her catering company. Being a take-out place, there didn’t seem to be a need for many tables. She set up 30 of them, along with all kinds of deli cases and an employee to direct customers to order at the counter. But the people had apparently decided on something else. When the doors opened in 1988, around 150 people walked in to have dinner. Not take-out. They wanted to sit down and eat. They wanted a restaurant. Gannon says that’s something she knew next to nothing about, since she had never worked in a restaurant. So yes, the people had decided. And Gannon knew it was important to listen to the people — so she transformed her take-out deli into a sit-down restaurant. She recalls their first holiday season was a star-studded event, thanks to her husband Joe Gannon’s connections to the entertainment industry. I was no celebrity: I was a tween at that time, and I still remember where I sat with my parents in that new restaurant, and what I ordered: the chopped Chinese chicken salad. 28 years later, I got to order it again. Still epic. 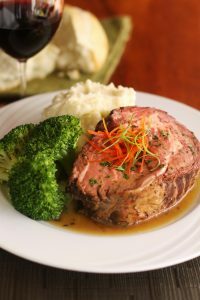 “Beverly has had a lot of her signature favorites on the menu since she started, and it would be impossible for me to take any of those off the menu! 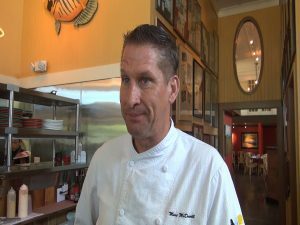 She let us take 10, 15% off the lunch menu and change them around, and it’s been a good fit because she enjoys them,” explains Marc McDowell, executive chef of Hali‘imaile General Store and Celebrations Catering, the longest-running catering operation on Maui. McDowell spent decades as a corporate resort chef before delving into a different world — private restaurants. 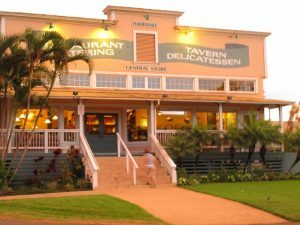 Ahi tartare and smoked salmon tacos, among the appetizers available during happy hour at Hali‘imaile General Store. Photo by Kiaora Bohlool. 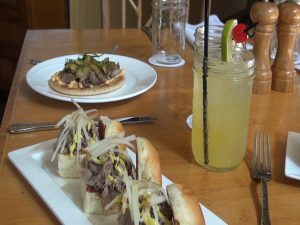 Tandoori lamb sliders and Korean prime rib pita pie, on the happy hour menu at Hali‘imaile General Store. Photo by Kiaora Bohlool. Chef Beverly Gannon, owner of Hali‘imaile General Store. Photo by Kiaora Bohlool. Happy hour cocktail at Hali‘imaile General Store. Photo by Kiaora Bohlool. 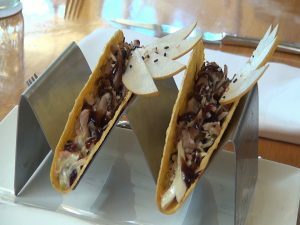 $8 Tacos on the happy hour menu at Hali‘imaile General Store. Photo by Kiaora Bohlool. Marc McDowell, executive chef of Hali‘imaile General Store and Celebrations Catering. Photo by Kiaora Bohlool. Bartender in action during happy hour at Hali‘imaile General Store, Monday through Friday from 3 to 5:30 p.m. Photo by Kiaora Bohlool. Hali‘imaile General Store Executive Sous Chef Adrian Solorzano. Photo by Kiaora Bohlool. Exterior of Hali‘imaile General Store. The building has existed since 1929. Photo by Kiaora Bohlool. 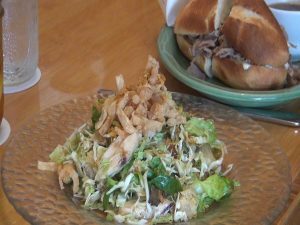 Chopped Chinese chicken salad, a signature classic on the menu at Hali‘imaile General Store. Photo by Kiaora Bohlool. Decor at Hali‘imaile General Store. Photo by Kiaora Bohlool. McDowell compliments Gannon’s “fantastic palate” and flair for presentation on the plate. He’s also very proud of his cohesive and creative kitchen team, saying they learn from each other. “If you can trust and feel like you’re giving, and you see them teaching somebody the way you taught them, it really is full circle,” says McDowell. Although, he adds, that’s a lesson he didn’t immediately understand when starting in the industry here. 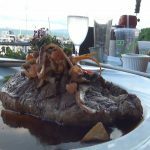 “Coming out of Culinary Institute of America in New York, thinking that I knew it all, I learned very quickly the Aloha spirit, and the importance of building good relationships,” McDowell explains. The kitchen is sourcing much of its produce from an impressive “secret farm” upcountry, and Gannon is building up her own home garden as well. Executive sous chef Adrian Solorzano appreciates the bounty of fresh, quality ingredients, from vegetables to meat to fish. 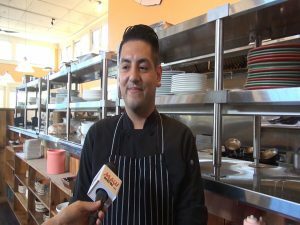 He started with the company as a line cook at age 20, and over the last seven years, has evolved his talents between Joe’s, Gannon’s and Hali‘imaile. 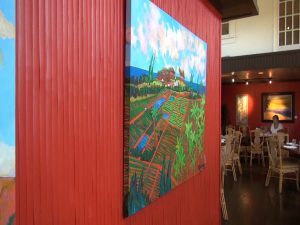 He wants customers to “be amazed at all the food we put our heart and soul into,” and says the kitchen crew really knows how to work together, even during the hectic times. 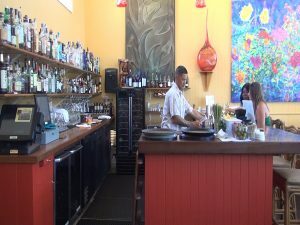 Along with the restaurant kitchen itself, which was recently renovated for the first time in 25 years, Gannon says this is the strongest kitchen team she’s had in two decades; they’re proactive in making new things happen, like wine dinners, a prime rib night, kama’aina specials, outside seating and pop-up dining events (like an August Smoke & Spice BBQ that drew in 110 people). 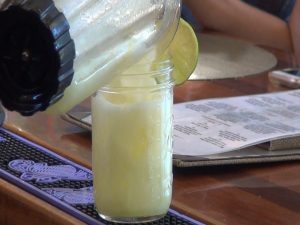 The restaurant is also introducing something it’s never had before: happy hour. 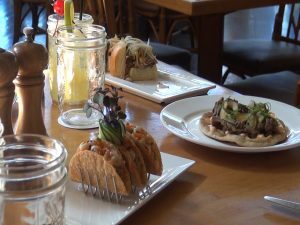 Running Monday through Friday from 3 to 5:30 p.m., the happy hour menu features gourmet tacos, sliders, pita pies and more for between $7 and $10. Happy hour highlights include Bev’s famous crab pizza, Ahi tartare and smoked salmon tacos, tandoori lamb sliders and caprese pita pies with house-pulled mozarella. 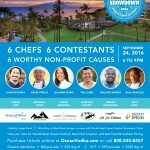 As for drinks, there are $4 Maui Brewing Co, beers, $6 wines by the glass, $5 well drinks and $8 cocktails. October 14 will mark 29 years since Bev and Joe Gannon took over the building that was, and remains, Hali‘imaile General Store. How to sum it up? “It’s been a trip,” says smiles. 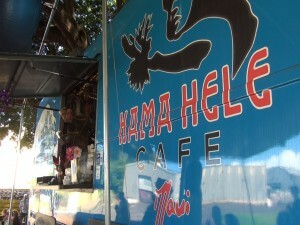 A trip that’s lasted through recessions, growth, development, road work, renovations, classic favorites and changing trends, in a building that will hopefully be part of Hali‘imaile’s foundation for many more decades to come.